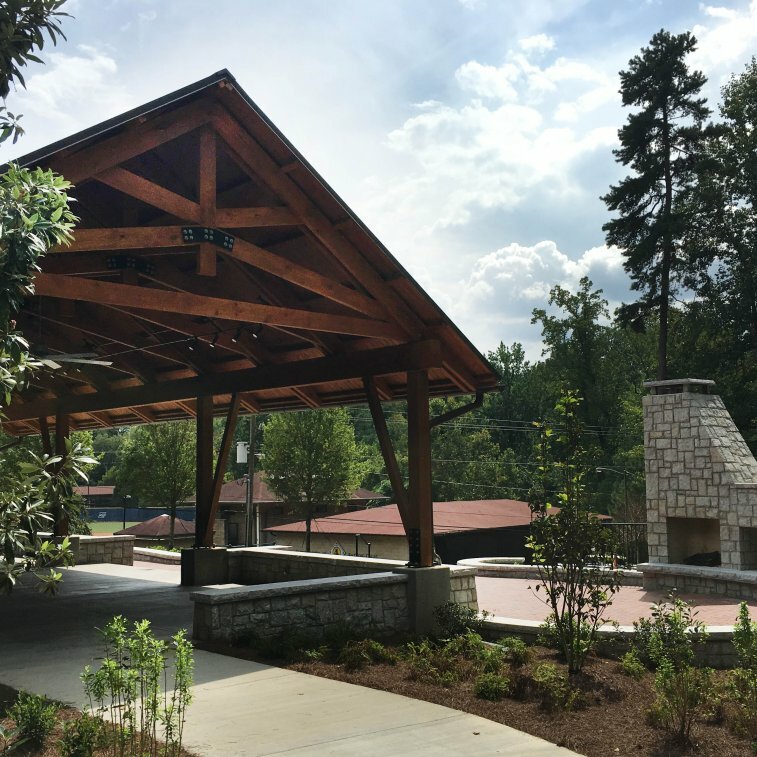 Construction was recently completed on a new outdoor student pavilion designed by CCCA, located on Emory University’s campus across from Chappell Park baseball field. The pavilion provides an informal social and performance space for the Emory community. It has already been used for various activities such student picnics and other social functions. The pavilion was constructed on one of the former sites of the Black Student Alliance (BSA). To honor this history, the pavilion incorporates architectural elements from the BSA House and a plaque honoring the legacy of BSA House residents. Emory University continues to improve their Campus Life energy and excitement to better serve the students, faculty and staff.